Nazis, who represent the ultimate evil and conjure horrific visions of suffering and depravity, are appearing in our culture with disturbing frequency and obscenely littering our public square. We have soup Nazis, grammar Nazis, eco-Nazis, femi-Nazis, nico-Nazis, health Nazis, jazz Nazis, ticket Nazis, lunchbox Nazis and traffic Nazis, to name but a few. The real Nazis must be delighted with these distortions. I get why people are tempted to introduce Nazis into a discussion, why the appeal of invoking and exploiting this imagery is so powerful. The Third Reich embodies a unique historical evil and is a convenient metaphor for illustrating the concept of right versus wrong. It’s a cheap trick that packs a punch as a scare tactic, is hard to beat for shock value and is guaranteed to work as a sensational headline generator. The photo above is a very poor choice to illustrate the Holocaust. Note the warm clothing, including warm caps and coats. Many of the women in the photo are past the age to be selected as workers. Note that some of the women have a full head of hair, which means that they have been in the camp long enough for their hair to grow out after the hair was initially shaved to get rid of any lice. These women appear to be in good health, not starving to death. Would it have killed the people who wrote this article, to have used a proper photograph of starving, emaciated prisoners, freezing to death without proper clothing? 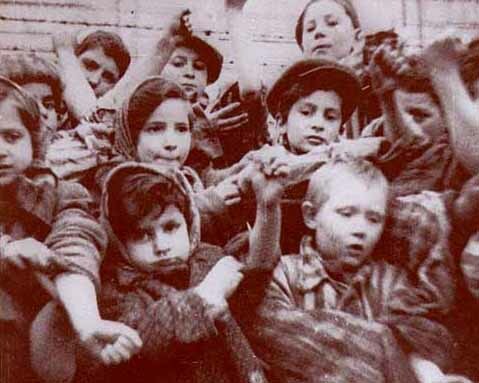 Please, please, please — stop using photos like the one above to illustrate the horror of Auschwitz. 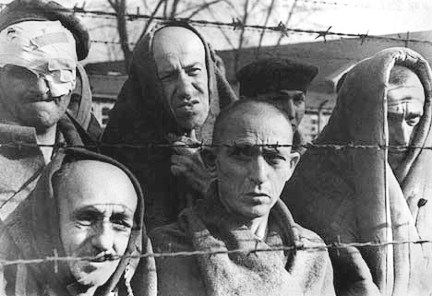 One prisoner in the photo is having trouble walking out of the camp, after it was liberated, but the other men in the photo look like they are in excellent condition. 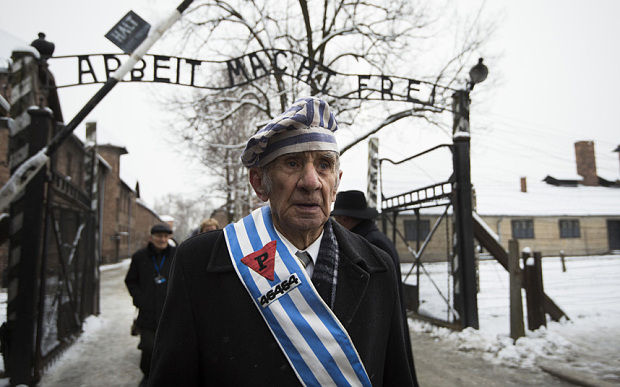 The photo above was used in a news story about how Auschwitz survivors confronted Reinhold Hanning, a former SS man who worked at the Auswchwitz 1 camp. 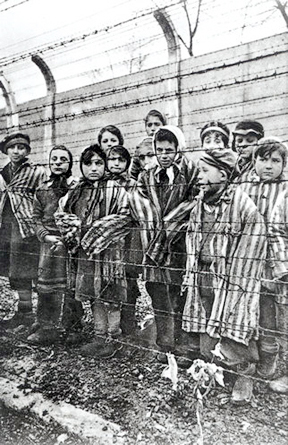 Hanning allegedly mistreated the prisoners at Auschwitz, so let’s see some photos of the prisoners who were mistreated. Notice the man on the far right, who has a double chin. 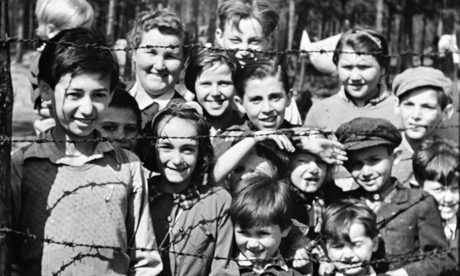 None of the survivors of the Auschwitz main camp look like they were starving. 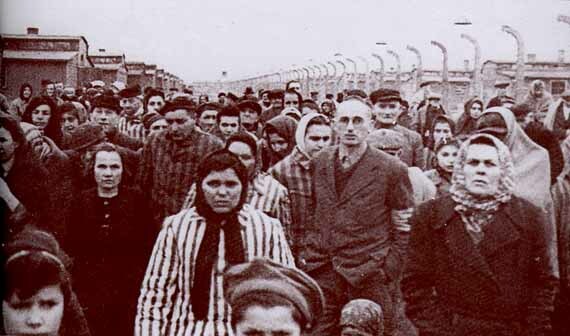 The photo above would be more suitable for showing the prisoners after they had been liberated from the main Auschwitz camp. 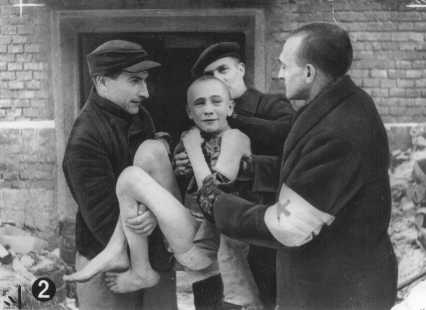 The photo above would be suitable to illustrate the horror of the Auschwitz camp, but why was this boy allowed to live? He was under the age of 15, and he was not in good health, so why wasn’t he gassed? 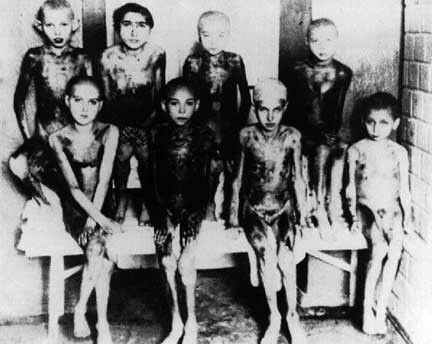 The photo above is also used in the news article, but again, this shows that the survivors of Auschwitz were in good health. The man in the center of the photo is leaning on a crutch, but maybe he had just sprained his ankle. At least, the Nazis provided him with a crutch, instead of forcing him to crawl around. 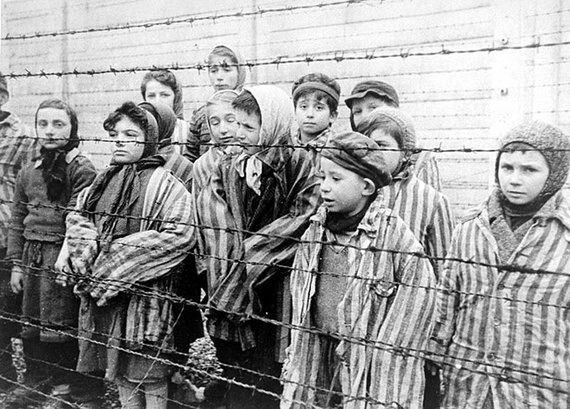 The photo below is my favorite Auschwitz survivor photo. Notice that the woman in the photo above is wrapped up in a warm comforter, but she is unhappy about being dragged out of her warm bed to pose for an Auschwitz liberation movie. 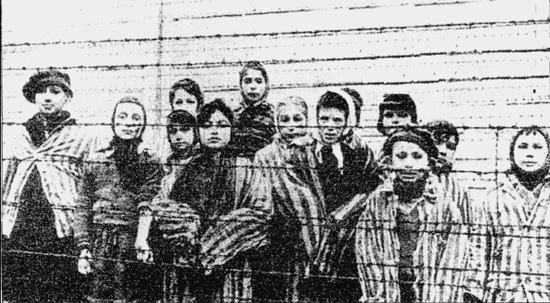 In the above photo, which is shown on this news article, survivors of the Auschwitz-Birkenau death camp identify themselves. 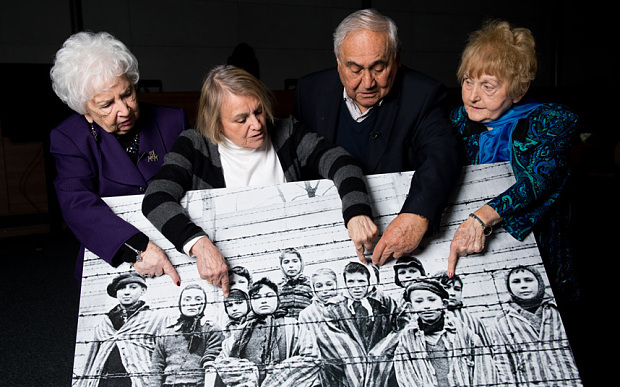 The Holocaust survivor on the far right in the photo is Eva Kor, who seems to me to be living a dignified life. She is frequently mentioned in news articles today. 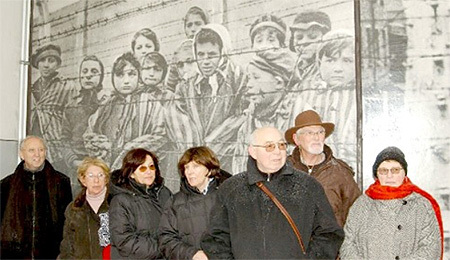 It seems to me that the Holocaust survivors are already being compensated for their suffering, but it is never enough. 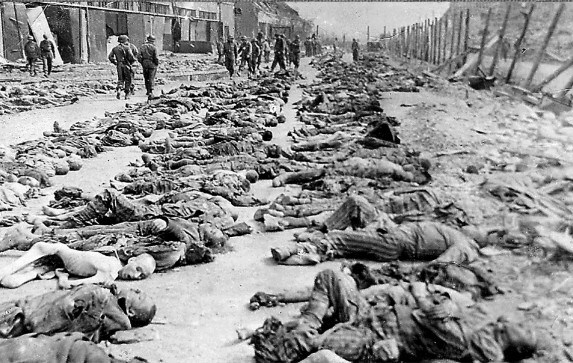 The Jews can never get enough money from the perpetrators of the Holocaust, and they can never get enough revenge.